One subject I've enjoyed modeling is the Zircus Rosarious. Here's a little info. 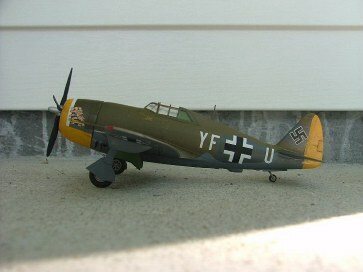 During WW2, the Luftwaffe captured many Allied aircraft and repaired them into flying condition. 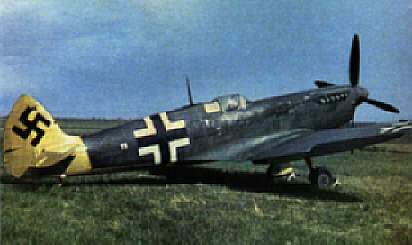 The Verschuchsverband (the Trials and Research Unit of the Luftwaffe High command) flew and assessed the capabilities of captured Allied fighters and toured these aircraft to various Luftwaffe fighter units as the 'Wanderzirkus Rosarius". 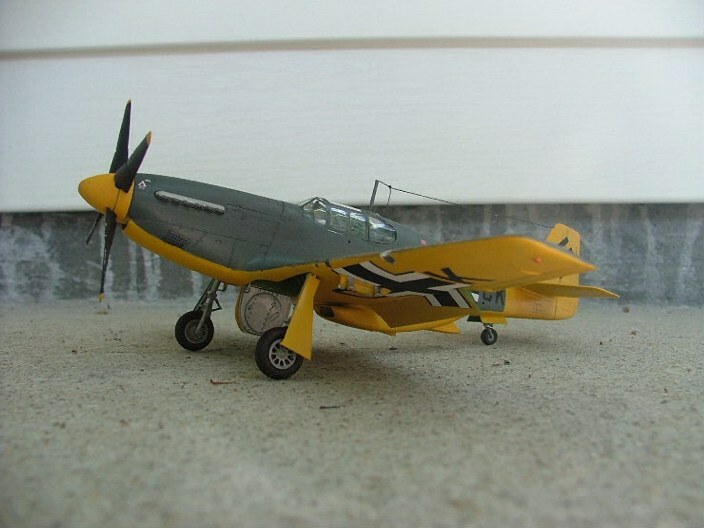 The aircraft tested by them included P-51's, P-38's, P-47's, Spitfires, Mosquitos and a Typhoon. 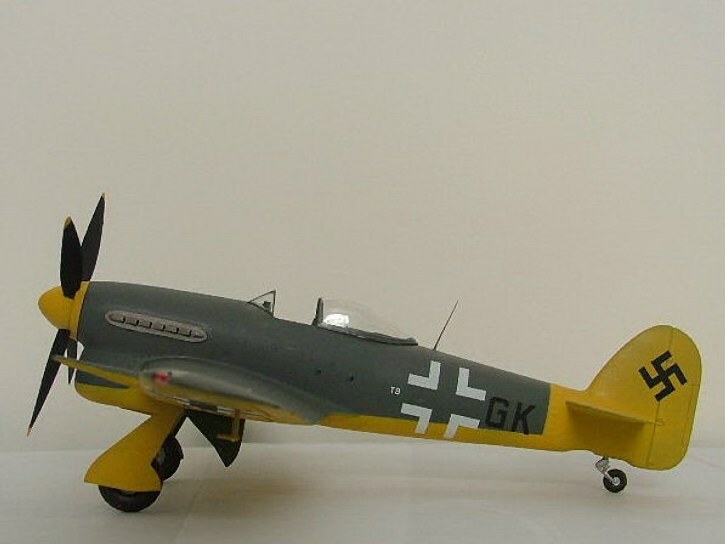 There were also one or more Spitfire that had it's nose removed and a Bf-109 nose and engine grafted onto the Spitfire......this gave the capture Spitfire a very odd appearance.........some would say...."unattractive appearance". The B-17 was also flown to fighter bases to show the Luftwaffe pilots the strengths and weaknesses of the B-17...armour etc. 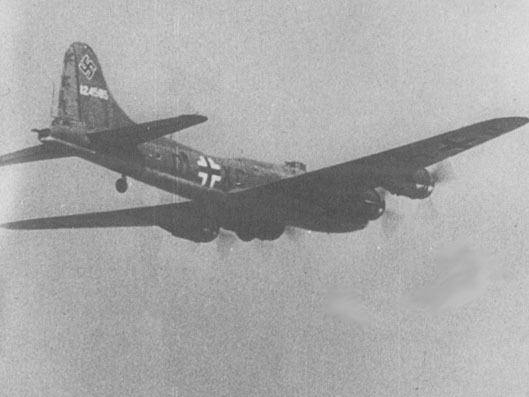 Captured B-17s flown by the Luftwaffe with KG 200 were used on secret night time missions to deliver agents behind enemy lines. Reports of B-17's in US markings shadowing US formations were made, but often these were either lost bombers trying to find their way home or the bombers weren't close enough to be fully identified, so this mystery remains. 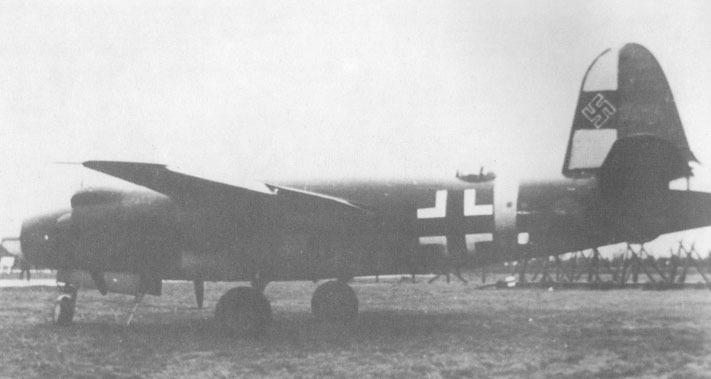 Wulf Hound, the first B-17F captured intact by the Luftwaffe. (Petrik). 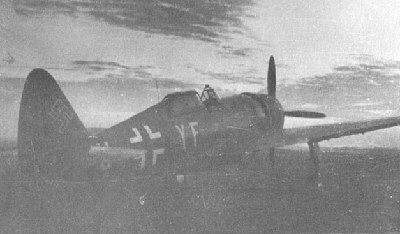 Wulf Hound being tested at the Luftwaffe Test And Evaluation Center A Rechlin. (Heinz J. Nowarra). B-26B Marauder 41-17790 (Thomas E. Willis). Flown by 2nd Lt. William E. Roach of 358th Squadron/355th Fighter Group/8th Air Force. Roach was on his third mission on November 7, 1943 while escorting B-17's of the 8th Airforce's 1st and 3rd Air Divisions. 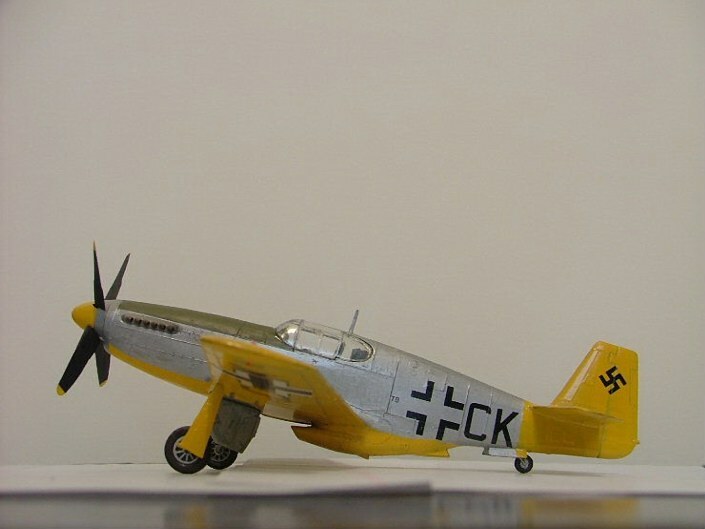 Becoming disoriented in poor weather, with fuel running low and after watching the squadron leader crash land, Roach began looking for an suitable airfield for an emergency landing. Lt. Roach spotted a field and landed, followed a vehicle to a parking place and shut down. Only then did Roach realize the people surrounding the plane were Germans! Lt. Roach spent the remainder of the war at Stalag Luft I and had provided the Luftwaffe with it's first intact P-47F-2-RA (42-22490).